Home / Academic Service News / The Center for Scientific and Technological Equipments Walailak University Welcoming students from Walailak Young Ambassador Camp 2018 on August 28, 2018. The Center for Scientific and Technological Equipments Walailak University Welcoming students from Walailak Young Ambassador Camp 2018 on August 28, 2018. 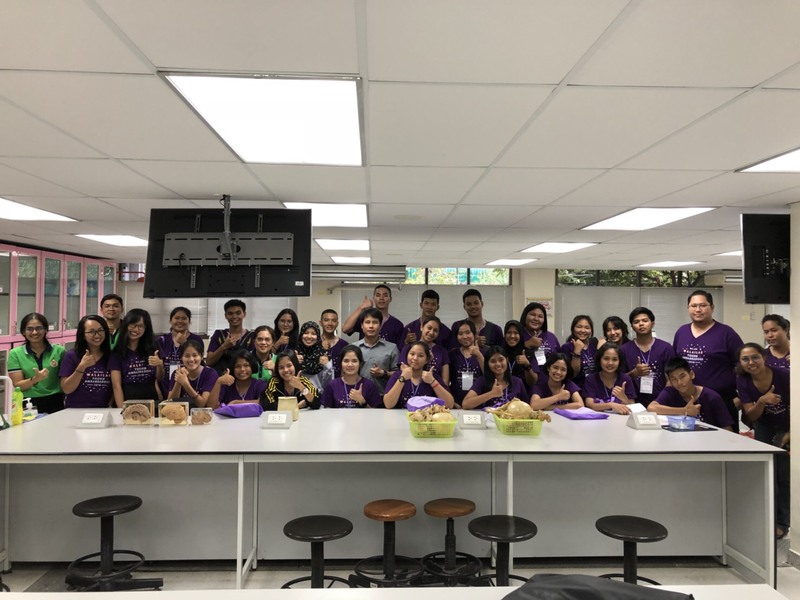 The Center for Scientific and Technological Equipments Walailak University Organized a health science camp To students in grade 10, health science project from Benjamarachutit School Nakhon Si Thammarat Province on 25 March – 5 April 2019. The Center for Scientific and Technological Equipments Walailak University Organize basic life-saving training activities and use of automatic heart defibrillators (AED) at the Walailak Day 2019 event. The Center for Scientific and Technological Equipments Walailak University. Organize training on the topic Scanning Electron Microscopy (SEM) techniques and applications from 25 – 26 March 2019. The Center for Scientific and Technological Equipments Walailak University. Organized a science camp To 74 students in grade 4-5 from Sangthong Wittaya School, Songkhla Province on 6-7 March 2019. The Center for Scientific and Technological Equipments Walailak University Welcoming students from Walailak Young Ambassador Camp 2018 on August 28, 2018. The Center for Scientific and Technological Equipments has a health science program for students to learn. On this occasion, we have collected some photos which can be seen from the link below. Previous The Center for Scientific and Technological Equipments Walailak University Welcome students from the WU seed camp 2018 on Saturday, August 25, 2018. Next Invited to attend the training securely use the Biosafety cabinet (BSC). On Friday, September 7, 2018, at Conference Room 1, Building for science and technology 5 (B5), 9.00 am. – 4.00 pm.